Actor Ken Ogata, best known to North American audiences for his portrayal of Japanese author Yukio Mishima in the 1985 Paul Schrader bio-pic "Mishima" has died. He was 71. According to Variety Asia Online he died suddenly on Sunday and a private funeral for him was held in Japan Tuesday. No cause of death was announced. Ogata started his career as a member of the Shinkokugeki drama troupe in 1958 and when on to star in over 70 films and television programs. Besides "Mishima" also starred in Shohei Imamura's "Vengeance is Mine" and "Ballad of Narayama", Kinji Fukasaku's "House on Fire" and Yoji Yamada's "The Hidden Blade". Ogata had just completed work on the TV drama "Kaze no Garden (Garden of the Wind)" set to air on Fuji TV on October 9th. 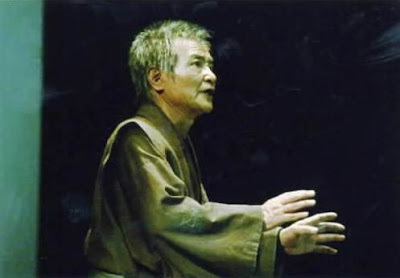 Over his 50 year career Ogata was the recipient of 3 Japanese Acdemy Awards, 2 Mainichi Film Concours Awards and the prestigious Kinema Junpo Award for acting. Ogata is survived by his wife and two sons, both of which have followed in their father's path and become actors.